As I have been developing the blog, I have been putting the best of the posts together to document the DIY Income Investor approach in an e-book 'Building Wealth as a DIY Income Investor'. The latest pdf version can be downloaded for free here (Version 4 - updated 4th December 2012) - running to over 160 pages of text, tips and links to other resources. This is a great way to get up to speed on the blog if you are new. Do let me know your feedback: if you like it, if you have any suggestions on how to improve it or if you have any problems accessing it. Even better, if you like the e-book you could contribute a nominal sum (say £2 - about $3) towards the cost of running this blog - see the e-book tab above. I bought the previous iteration earlier this year and think it is a fantastic read, which has been so very helpful for my family's financial planning. I have often flicked it open or back through it to refresh my memory on something. It has really helped me get a plan together and more importantly, actually follow it! Thanks very much Dave - lots of new stuff in the updated version - your payment covers updates! Your book already downloaded and duly paid for. 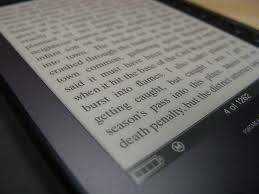 I used an online pdf to mobi convertor to make it a bit easier to read on my kindle. I've used this convertor many times, but for some reason it didn't work too well this time. Just an idea, but why not make it available to download in a few other formats as well. Thanks so much. Let me know if you are successful and what software you have used and I'll give it a go! Okay, I've tried a few convertors with no success. Then I looked at your pdf text and it hit me a bit like in Homer Simpson. "Doh!" After the index, from page 9, your text is spaced as two or more columns on each sheet. i.e. you read down a bit, then scan up to the right and continue reading. This is fine for books, printed sheets etc, but completely confuses any attempt to convert to a different format. So maybe best to keep your original pdf (which is great) but also have a 'simplified' text version with a straightforward text format ... i.e. use the whole width of the sheet as you'd do normally. This should make it easier to convert and read on a Kindle.